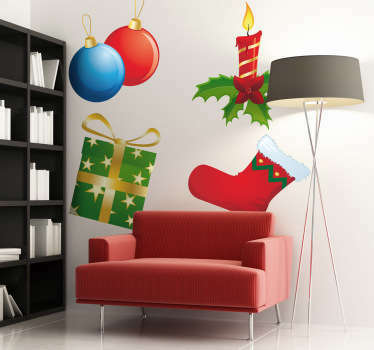 A collection of designs of Christmas stockings to decorate your home in a fun and festive way this holiday period. 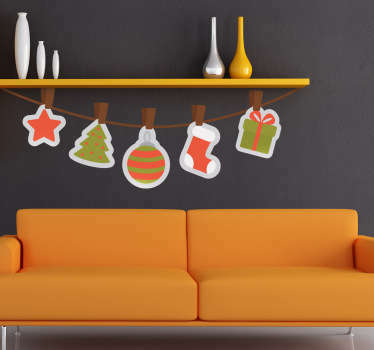 Do your little ones like to hang their stockings on the fireplace on Christmas eve? 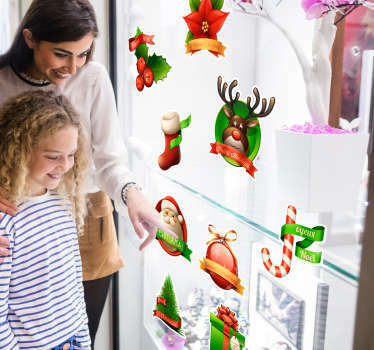 Now you can decorate in a way that kids will love with a fun festive element. 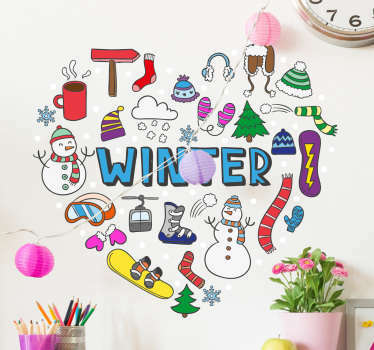 Illustrations of stockings full of wonderful gifts and treats. 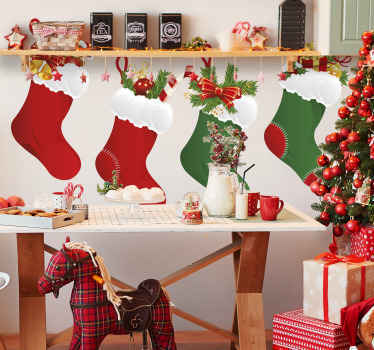 Combine these stocking design with other stickers from our Christmas category. Many sizes available to suit you and your space. All stickers are made from high quality and anti-bubble vinyl.